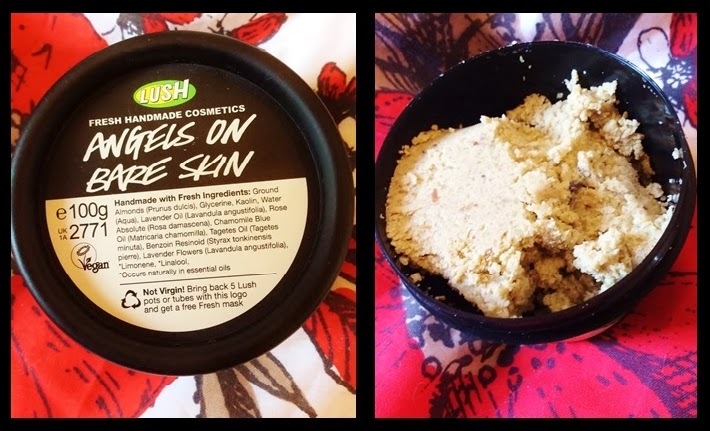 Today I am going to be chatting to you about my recent Lush purchase which ashamedly enough was a result of me losing my 'Lush Virginity' yes that's right ladies and gents, before last week I had never bought a single product from Lush! Anyway onwards and upwards it is safe to say that now I am addicted and even now wish to move house specifically to accommodate a bathtub, as obsessions go that's quite a commitment! Our local Lush store is located on Aberdeen's Union Street and is quite small in size so all of the scents in the store sort of hit you all at once, but it wasn't nauseating like I was expecting, if anything I could accuse the scent of sending me into a purchase frenzy and brainwashing me through my nose! Even though tempted by the many soaps, washes and scrubs Lush has to offer, I did go in with a specific aim. Recently my skin has been rather lack luster due to our terrible weather, you name it, I've had it, blotchy patches, dryness, blocked pores, it has been awful so I really wanted a miracle cleanser to give my skin that sort of kick it desperately needed to get back to its usual glowing self. The sales assistant was so helpful and really seemed to know her stuff, she was very attentive to what my requirements were and eventually she recommended I try this nifty product, the Angels On Bare Skin Cleanser. The woman in the store told me this was a very well balanced cleanser as it's sensitive enough to use on dry, sensitive skin but also dense enough to help those with a more oily skin condition, so it's quite a good all rounder if you aren't looking for something too specific. The cleanser isn't much to look at, granted, in fact when I first spotted it I thought it looked like an oatmeal concoction with some plants spread throughout, but honestly if you like lavender it smells divine and that really helped me past the initial appearance! I have been using this cleanser for about 4/5 days now and have implemented it into my morning routine, before applying my moisturizer and a little definitely goes a long way with this solution. I have so far loved using this cleanser, it's a nice feeling when you're using an all natural product on your face especially and it might be psychological but that all natural feeling makes me think I'm doing good for my face. For the sake of being honest and open I will say this, unfortunately you cannot use this cleanser as a two in one to remove your make up unless of course you rub very very vigorously which I would not recommend. With all Lush products this one does have a use by date which in my case is May, and with the amount you use daily with a cleanser of this consistency it probably won't even be finished by then. And finally I would say that for a single purpose cleanser that Lush are on the pricey side, this one is 100g and it set me back £6.35. A nice little luxury I would say!